If you are looking for a high quality complete Automatic Transmission service, you have found the only website that you will ever need to visit. Based in the Midlands, BH Transmission Services Ltd has been providing a service to the forklift and plant industry for many years and brings a wealth of experience in the diagnosis, repair and rebuilding of Automatic Transmissions for Forklifts and Plant Equipment. 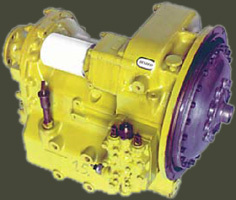 Transmissions such as Brockhouse, Clark, Fenwick, Hyster, Toyota, TCM, Caterpillar, Yale, Mitsubishi, Nissan, JCB, ITL, Still, Hurth, Voith, ZF, Allison, Spicer, Funk, Twin Disc, Borg Warner, Graziano, Komatsu are some of the popular makes that BH Transmission Services provide a rebuild service for in addition to some bespoke manufacturers.